Leo Vegas Review for 2019 – Receive NZ$1500 welcome bonus. When it comes to the world of online casinos, not many casinos are as recognisable as LeoVegas. They have built themselves up to be one of the predominant names in the industry, and have done so by giving players what they really want&colon; great games, nice bonuses, and high levels of security. They are a great choice for anyone looking for a new place to play, and you'll see why in this LeoVegas online casino review. Our goal at Gambling.co.nz is a simple one&colon; we want to bring the best online casino reviews to all players in New Zealand, so that everyone is able to play at the perfect site for them. In order to accomplish this goal, we've created loads of different reviews, and we are always adding more, as well as tweaking the reviews to ensure that they stay current. This means that we’re the only site you'll needed when looking to sign up with a top online casino in New Zealand. The scores above should show you that we think LeoVegas is a really good place to play, and we certainly recommend it to anyone in New Zealand looking for a new online casino. So, why not head there today and sign up? 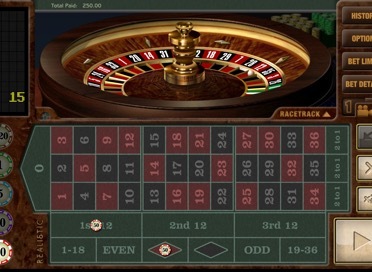 When it comes to the software, LeoVegas differs from most other online casinos in New Zealand. This is because they don't offer the option to download the site, therefore meaning that all players will have to play using the Flash version. This shouldn't be a problem for the majority of players, however it will mean that some aren't able to play in their preferred way – which could cause some players to choose a different online casino instead. LeoVegas also differs from many other sites in another way too. Instead of getting all of their games from one provider, they use a few different ones. This means that you'll find a great selection of software, from companies such as NetEnt, Microgaming and WMS Gaming. This mixture of games ensures that most players should be able to find something new and exciting to play at this online casino. LeoVegas is a site offering some pretty good security to players, as you'll see in this LeoVegas casino review. Firstly, and most importantly, they are licenced by the Malta Gaming Authority, as well as by the UK Gambling Commission. This means that they are constantly being monitored, therefore meaning that players know they're being treated fairly. In addition to this, they are also accredited by Casinomeister, an independent site advocating fair play in the online casino industry. There is one issue though – nowhere on the site does it mention that LeoVegas is verified by eCOGRA or another similar organisation. LeoVegas is without doubt a safe and fair place to play, however it would be nice to see this kind of accreditation added to the site. The banking at LeoVegas is some of the very best around, meaning that it is really easy to add money to your account, as well as withdraw money from the site. When it comes to the depositing process, there are multiple options to choose from, and they are all completely free, plus all deposits are instant, so you'll be able to play your favourite games straightaway. Withdrawals are just as straightforward, and you'll also be able to use many different options. Most withdrawals are processed within a couple of days, however some larger requests could take slightly longer. There is no charge for withdrawing, unless you’ve failed to play through your deposit at least once. If you haven't managed this, there will be a 5% charge. The minimum that can be withdrawn is NZ$10, which is more than reasonable. The games are the absolute highlight at LeoVegas, as they should be at any online casino. This is because of the variety they offer. 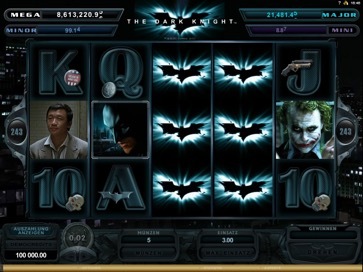 Some players might be bored of playing at sites only offering games from a single provider – usually Microgaming – however LeoVegas offer games from a variety of companies. This means that you'll find a huge variety of different slots – including big titles like Mega Moolah, Starburst and Cleopatra – as well as a huge variety of table games and video poker games. The live casino is also a really good one, and is powered by a variety of different companies, ranging from NetEnt through to Evolution Gaming. In fact, it has to be said that the live casino at LeoVegas is the best available to online casino players in New Zealand. The customer service at LeoVegas can be summed up in one word&colon; professional. They always do everything in their power to rectify any problems or concerns a player might have, and their replies are generally incredibly fast. The most popularly used contact option is live chat, and it works extremely well, however there's also the option to email them. They can also be phoned, however this will involve calling an international number. Customer support might not seem like the most important aspect of a site, however you'll be glad that LeoVegas offer such a high level of customer service if you run into any issues while you're playing at the site. If you are more interested in sportsbetting, you can alternatively claim a welcome bonus in this area. You'll receive a 100% deposit bonus on both of your first two deposits at the site, and this bonus money can then be used to bet on any market. As always though, ensure you check the small print before accepting a bonus, just so you understand the rollover requirements, as well as any other requirements you need to be aware of. There are also loads of other promotions on offer at LeoVegas, including Profit Boosts, prize draws and giveaways. The loyalty scheme also certainly deserves to be mentioned, as it is an incredibly good one, offering all players the chance to trade their points in for some fantastic prizes. If all online casinos offered the same promotions as LeoVegas, the casino world would be an even better place! The final thing to look at is our LeoVegas mobile casino review, and it is clear to see that this online casino has taken the mobile aspect of their site incredibly seriously. All types of players will be able to use the site including, of course, Apple players, who can use any device to access the site and enjoy a wide range of different games, from a wide range of different software providers. 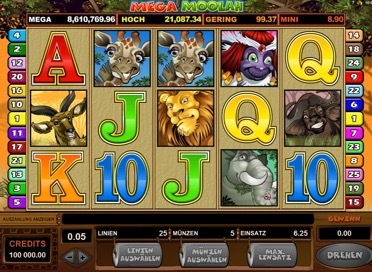 iPads provide the best experience, however iPhone players will still really enjoy themselves at this mobile casino. There is also an app for Apple users, which is available for free at the App Store. Android devices are also really popular in New Zealand, and anyone owning an Android device – such as a Samsung or an HTC – will be able to access the LeoVegas mobile casino using their browser. Unfortunately though, there doesn't seem to be an Android app currently available for players to download. The mobile browser based site is still great though, and offers many fantastic games. Do you own a BlackBerry, and want to play at LeoVegas? If so, you're in luck, as this casino ensures that you are also able to access their site – along with many great games – using your device. Once again, it's simply a case of tapping the URL into your browser. Once you do this, you'll be taken to a fully optimised mobile site. Finally, Windows Phone players can also play at this casino. Therefore, nearly every type of mobile device can be used at LeoVegas. If they added apps for those other than iOS players, we'd have to rank LeoVegas as the best mobile casino available to players in New Zealand. Even without apps though, it is still very near the top of the list.